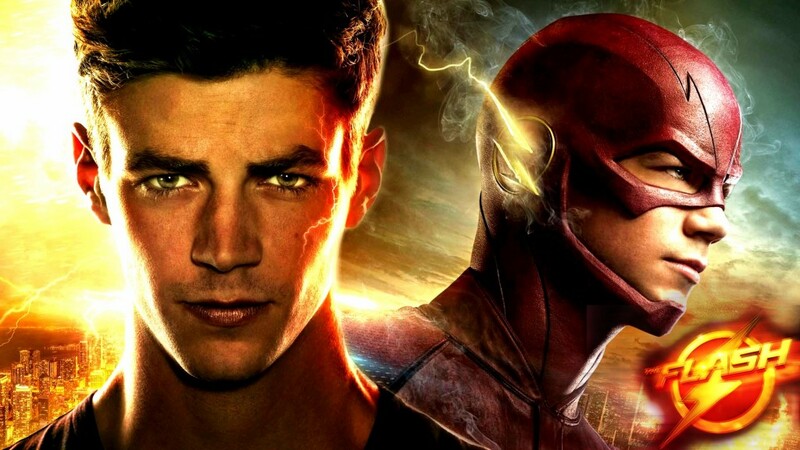 This is a general brief review of the first series of the popular TV drama series The Flash. Based on the well known comics by DC. The Flash TV show is well produced with good all round cast. The only downer is the repeated verbal intro at the start of every episode. “My name is Barry Allen… Im the fastest man alive…” Um yes well after hearing it 13 times we get the idea and we know who you are…. What is lacking and needed here is a good catchy theme song or music. Like we have in Smallville. Taking a look at the main character Barry Allen, portrayed by Grant Gustin we see a promising star with great acting skills. Being able to play different emotions and handle the other big characters well. We see The Flash develop from knowing little and having no powers to becoming a master of speed and learning alot about himself and his new powers. There are many twists in the show that keep it interesting, for example (SPOILER WARNING) the last thing you would expect when watching this is for Harrision Wells to be the bad guy and the one who killed Barry’s mother. We like to see many other super hero characters making appearances in the show like the Arrow, Atom, Firestorm and Canary. However the main characters are seen in every episode. Although we see the main characters Cisco, Dr. Caitlin Snow and Iris we dont really learn much more about them as every episode is focused on the Flash. So character developement is quite limited. Maybe it is enough though. We see the Flash become powerful and master his speed and other powers that develop such as being able to create a mirage of himself and travel back in time. But we can not really see the storylines of time travel bear much resemblance to anything in real life. its just too complicate. For example in one episode Flash runs so fast that by mistake he runs back in time. But then should there not be two Flashs in that time, but we only see one and he plays the scenes out again. The villain Snart (Captain Cold) is a strange character in that he has no special power however he is still a bad guy, however unlike with other superpowered villans we dont see a ruthless Flash putting and end to him. Snart is given space and gets away with robbery after robbery. The reason for this thus does not make sense. You can compare this show to others that have people with special powers, and those who use them for bad and those who are heroes. Examples include Heroes, X-Men, Shield, Smallville.